Easy, on-the-go breakfast that you prepare the night before. 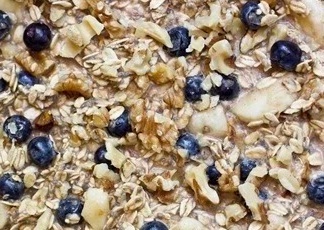 Adding our Peanut Butter Powder is the perfect way to give great flavor and nutrition to your overnight oats. The night before, mix all ingredients except Tru-Nut in a bowl and set in refrigerator. The next morning, add Tru-Nut and mix together for a fast, easy breakfast!